Well all righty! Here, I’m freaking out trying to think of all the places I’ll have to go to make sure my new married name is on record. Meanwhile, there are people who do this kind of thing every day! And now Variable wants to be F— Censorship! Um. How do you put that on checks? Do people call you Mr. Censorship? Is the exclamation point part of the name? This sends the creative juices a’flowing in my mind. I mean, the possibilities are ENDLESS. 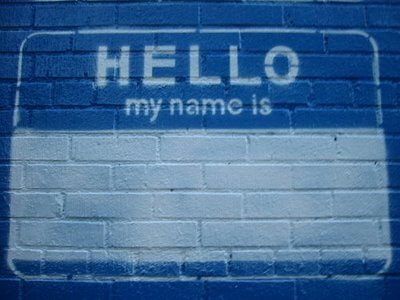 If I’m already in there mucking around with my legal name, are there other things I’d like to append on there? Or maybe go with the one name in the vein of Cher, Madonna and Iman. I’m still fuming a bit from something I encountered while in Albuquerque about a week ago. Having been raised in New Mexico, I’ve always been a fan of beautifully crafted silver and turquoise jewelry. I had the privilege of living near some of the finest Native American craftsmen who create works of art, and I’ve never taken that for granted. Over the years, I’ve always been on my guard and tried to buy from reputable people where I know the jewelry was not only handmade by Native American people, but the gems were real and unique. So while in Albuquerque near Old Town, I had occasion to visit one of my favorite stores where I know the pieces are always legitimate and beautiful. That place is called Casa de Avila and it’s been a place where a lot of my paychecks have gone over the years. The real stuff, the good stuff, isn’t always the least expensive stuff. So after buying a couple items there, we wandered out onto the plaza. I saw the row of people selling their wares on blankets laid out on the sidewalk and yes, it took me back a lot of years. Even as a kid I knew how to get in there, find something nice, and work with the artisan on a fair price. Seeing this again, I was fired up to take a look. For quite a while I’ve been looking for a particular necklace. A real turquoise graduated bead necklace, like this only longer and in blue turquoise. That necklace, made by hand (meaning hand shaped round stones) with hand matched beads is VERY expensive, but really a masterpiece. You can find some like it that are machine matched, shaped and strung, sure. I’d like a handcrafted piece. Let me just say this….VERY expensive. So as I strolled along the row of merchants there on the sidewalk, I spotted a really nice looking necklace. I looked at the gentleman who was selling the works, a Native American man, and thought “maybe this is the one”. I walked past his stand to look at what else was out there, told The Good Man “I may be about to spend a very lot of money” and went back to place where’d I’d spotted that necklace. I kneeled down and picked up the piece that had caught my eye. Immediately, I knew something wasn’t right. For a long necklace made out of turquoise, it was really light. And it didn’t have that sleek cool-to-the-touch feel in my hands. I remember over the years a lot of articles and conversations about how to tell if turquoise is fake. Something I read once said hold a lighter up to the piece. If it’s plastic turquoise, obviously, it will melt. Not having a lighter on me, I tried another trick. I took one of the beads in my fingers and pushed my thumbnail into it. On that warm Albuquerque day after sitting in the sun, it felt sort of…soft. My nail sunk in a bit, just the tiniest amount, but enough to tell me this was a genuine Native American-made piece crafted of incredibly fake stones. I put the necklace down and walked away reeling. I told TGM what had happened and he gave the guy the benefit of the doubt, “Maybe he needs to sell a piece like that so he can buy real turquoise”. Maybe. Yeah. But the tag on it said “genuine turquoise”. It’s a lie. I didn’t actually price the item (it wasn’t on the tag) and maybe should have. If he’s selling it for $20, then fine. I have a feeling that’s not the case. I’m not naïve, yes, I know this kind of thing still goes on, and the caveat “buyer beware” is still very much in effect. By the way…I support Southwest Indian Foundation. They work to help folks in trouble through sales and also via donations. And they have a beautiful selection of genuine pieces at reasonable rates. So the point of last week’s road trip was not only visiting with family, but also a fun engagement party, the subject of marriage has been the hot conversation topic. Since becoming engaged, I’ve been talking to a lot of friends and family who have been married for a while to get their thoughts. Everyone has an idea on what it takes to “make it work”. Obviously, I’m very conscious about being a good partner, friend and spouse, so I’ve been listening. Here’s some of the thoughts I’ve gathered so far. From my Aunt in Arizona, her advice was to work to keep things from being boring. Can’t disagree with that one, seems easy to slip into. I have a couple friends who got married and slid right into the sweatpants and television mode. I suppose if it works for the couple, that’s ok. But I think my Aunt has good advice. So maybe not the toaster itself, but a talisman, a symbol, a “something to hang on to” when the seas get rough is important. A friend at work who despite being about my age, has been married over twenty years (very YOUNG bride…wow!) says that for her, she laid down the law early on. For example, they have two beautiful children. She’s made it clear that if they part ways, the kids are hers, no dispute. He also said that both sides should set down the rules early on. It all seems a bit rigid to me, but maybe it’s not the “rules” so much as “these are the lines that cannot be crossed”. Wow. But hey, there’s no gray area there, now is there? I do think it’s good to communicate “these are my non-starters” from the beginning. TGM and I have done some of that already…entering into this relationship later in life, we both had some previous experiences…so there were a couple “if you are going to xyz then I’m out” moments. “Keep your own interests, don’t make your spouse the only thing in your life”…ok, good. Anyone else got thoughts? If you don’t want to put in comments, shoot me an email. I’m all ears. …have ever walked the streets of Bakersfield? Sorry Mr. Owens. I don’t judge you. Never did. But I’m here to pass a little judgment on your hometown. On this last road trip through the Golden State, I had occasion to stop off in Bakersfield. As a matter of fact, we needed petrol, and Buck Owen’s Blvd. off of Highway 99 seemed as good an exit as any to take. At the bottom of the freeway ramp, there stood Buck Owen’s Crystal Palace. And not much more. We weren’t of a mind to visit the palace, tho it was interesting to see. But the gas/food/lodging situation in that area was sketchy to say the least. 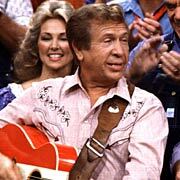 I’m a big fan of Buck Owens and think he’s about the most talented musician I ever knew, along with a great self-deprecating sense of humor. I can’t help but think his old hometown hasn’t quite done him the justice he deserves. The place to go to remember him is a weird neighborhood filled with strange businesses. Had an easy and non-eventful drive from the greater Barstow metropolitan area to the Bay Area where we were greeted with an oppressive haze from the multitudinous fires burning. None near where we live, but all around. Ugh. The sky is terrible. It’s cold. It’s windy. It’s not Oh Fair New Mexico. And there’s no green chile. I’m unpacking, doing laundry and getting ready to go back to work tomorrow. Boo! I asked The Good Man what he wanted for lunch today. “Green chile,” he replied and we both sighed in sorrow. “I didn’t get enough mexican food while we were in New Mexico,” he lamented. We had it every day…. What do they call someone who introduces another to their addiction? Cuz that’s what I am. I made a Brooklyn boy a green chile addict. Heh! Meanwhile, life goes on. The Feline is fine but a big clingy. She missed us in her own way. Back to normal life, I suppose. 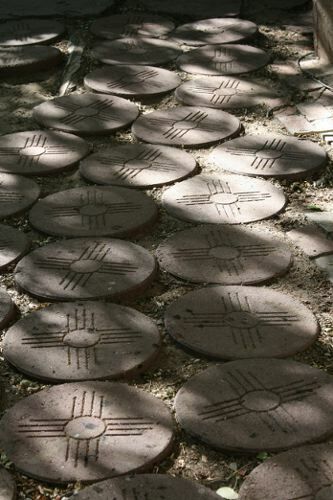 I miss New Mexico more than ever…..